The match was the most tweeted about sporting event ever. LAST NIGHT’S WORLD Cup semi-final between Brazil and Germany was pretty one-sided. Brazil destroyed 7-1, and on their own turf. Ouch. Sympathy on social media was… lacking, but the game was the most tweeted about sporting event ever. It’s easy to see why. There were just SO MANY jokes to be made. If I was Brazil's manager I'd say 'BOYS, YOU HAVE SCORED BRAZ-NIL' & then I'd cry my moustache off & create a new team out of slow worms. Email “12 of the greatest Twitter responses to Brazil's humiliating defeat”. 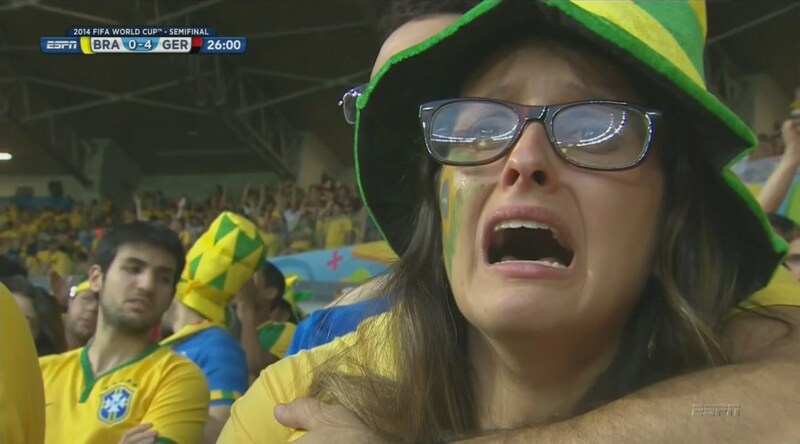 Feedback on “12 of the greatest Twitter responses to Brazil's humiliating defeat”.